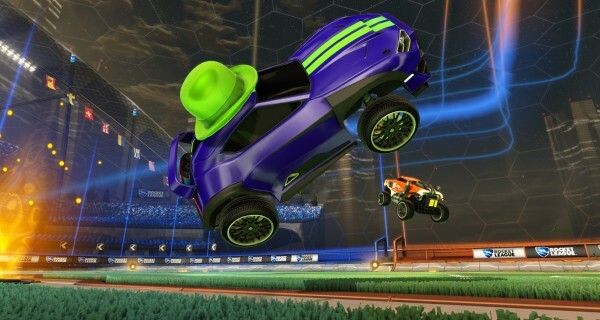 Rocket League’s item drop pool is being expanded, and Psyonix is introducing trade-ins. Rocket League developer Psyonix has revealed one other big feature coming with the massive update this month. Following last week’s reveal of the item attribute system, the studio has today announced that the game’s pool is being expanded to include Rare and Very Rare items. These can only be obtained by playing online and include rare decals and boost trails. Another way to get these items is by trading in any uncommon items you have for them. This new system is the answer to players earning many duplicates as well as a lot of uncommon items. Each five uncommon items you trade in get you Rare item. Psyonix also announced that a full-on player trading system will be implemented at a later date, separate from the June update detailed above. For this reason, the studio advises against trading in Painted or Certified items now, as they may increase in value once player trading has been added.